UPDATE OCTOBER 2018 – Still Too Far: Energy Transfer Continues to Display Concerning Corporate Behavior. In December 2014, the Dallas, Texas-based company Energy Transfer Partners, L.P. (ETP) applied for permitting to build the $3.78 billion Dakota Access pipeline (DAPL). The pipeline was to carry crude oil from the Bakken shale oil field in northwest North Dakota, through North and South Dakota and Iowa, to an oil storage and transport facility in Illinois. By the fall of 2016, the controversial project had gained international attention and notoriety. “Too Far Too Often” details the unethical and inappropriate tactics employed by ETP and related companies against opponents of DAPL, and highlights how, in spite of increased global scrutiny and intense criticism of ETP’s tactics at Standing Rock to intimidate and quash opposition, ETP continues to apply many of the same tactics and to display the kind of corporate behaviour that directly contributed to the controversy. ETP’s repeated use of these intimidation tactics means that the company and its financial backers risk facing similar controversies in other current and future projects. Additional information and detail can be found in the relevant sections of the full report. DAPL was approved without meeting international standards of free, prior, and informed consent of the Standing Rock Sioux Tribe. For additional context see the section called “Tactic 1:Violating Indigenous Sovereignty and Rights” in the report. The company ignored calls for a voluntary halt in construction by the U.S. Departments of Justice, the U.S. Department of Interior, and the Army as controversy and questions around appropriate levels of assessment and due diligence arose in early fall 2016. Dakota Access bulldozed an area of the pipeline corridor filled with Tribal sacred sites and burials. 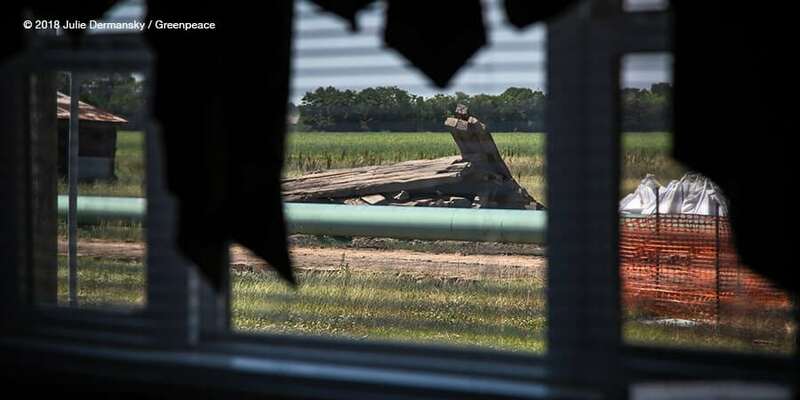 Documented in a UN report, a Sioux elder and cultural leader reported damage to at least 380 cultural and sacred sites along the pipeline route. Water Protectors and individuals opposing DAPL faced excessive force, arbitrary arrests, and lawsuits. For additional information about the use of force and intimidation, see sections called “Tactic 2: Silencing Free Speech with Intimidation” and “Tactic 4: Enabling Violence Against Communities” in the full report. Arbitrary arrests and anti-free-speech lawsuits have become more commonplace across the sector in efforts to shut down pipeline opposition. However, ETP’s extreme use of litigation, including the use of RICO claims and high damages, could set a dangerous new precedent and have a chilling effect on the ability of individuals, communities, and organizations to vocalize and demonstrate opposition to future projects. See the section called “Tactic 2: Silencing Free Speech with Intimidation” for additional information. Following the controversy around the Dakota Access Pipeline, a series of more than 60 bills was introduced across the country restricting the right to protest and criminalizing protest, potentially deterring First Amendment-protected free speech activity. See the section entitled “Tactic 3: Criminalizing Protest with Unjust Laws” for a detailed look at these new proposed bills. ETP continues to work with private security companies, including TigerSwan, which used excessive force and military-style counterterrorism measures against Water Protectors and operated without a license during the events at Standing Rock. See the section called “Tactic 4: Enabling Violence Against Communities” for additional information. The activities of private security employees during that time raise questions about the level of due diligence exercised by ETP and its contractors, including TigerSwan, in assessing the suitability and providing oversight of persons hired for these situations. ETP and related companies are aggressively seizing private property through eminent domain proceedings in all of their current major pipeline projects — Bayou Bridge, Bakken (DAPL, ETCO), ME2, and the Rover Pipeline. Private landowners are challenging the legality of the property seizure. For additional information refer to the section “Tactic 5: Seizing Private Property” in the full report. Pipelines operated by ETP and its related company, Sunoco, and their subsidiaries, spilled hazardous liquids 527 times from 2002 to the end of 2017 — an average of one incident every 11 days. Sixty-seven of the spills were reported to have contaminated water, including 18 incidents that contaminated groundwater, and more than 100 of the incidents involved 50 barrels or more. The spills caused an estimated $115 million in property damage. ETP has been subject to hundreds of enforcement actions and fined more than $355 million since 2000. See the section called “Dirty Pipelines: Spills and Safety Concerns” for additional information. ETP’s unwillingness or inability to learn the necessary lessons from DAPL should raise concerns among the company’s institutional financiers, who continue to be exposed to the reputational and financial impacts of ETP’s unacceptable practices. Therefore, and in light of ETP’s ongoing approach to human rights and its poor record on pipeline spills and safety, banks should end any current financial relationship with ETP and related companies, and should not provide any further financial services, including loans, to the companies. The $3.78 billion Dakota Access Pipeline (DAPL) project became notorious as a display of abuses, oversight omissions, and unethical corporate tactics, which led to construction delays and to intense national and international scrutiny and criticism of the project. As events unfolded on the ground at Standing Rock, the behavior of Energy Transfer Partners, L.P. (ETP), the company behind the pipeline, attracted global attention to the story of individuals standing up to the company and opposing DAPL as a serious environmental and financial risk. Although DAPL construction was completed in 2017 and the pipeline is currently in operation, the controversy around the project will have lasting repercussions. Despite the international criticism following the events at Standing Rock, and efforts made by financial institutions, international agencies, and others to evaluate and investigate the issues that arose around DAPL, ETP largely refuses to address and remedy many of its corporate failures. Instead, the company is attributing blame to pipeline opponents and is choosing to instigate legal actions intended to suppress peaceful protests. Worryingly for ETP’s shareholders and funders, this report shows that in its other pipeline projects ETP is engaging in the same corporate behavior and employing many of the same tactics that directly contributed to the controversy at Standing Rock. ETP’s continuing use of these intimidation tactics means that the company and its financial backers risk facing similar controversies in the near future. “Too Far Too Often” is written for financial institutions investing in and/or lending to ETP and related companies. It details the tactics that ETP employed in its handling of DAPL, and highlights how the company continues to employ these unacceptable practices on other projects. In that context, we recommend that financial institutions should end any current financial relationship with ETP and related companies and should not provide any financial services, including loans, to such companies in the future. Throughout the DAPL permitting and construction process, ETP and regulators faced repeated criticism and legal challenges for failure to follow due diligence in their consultation with the Standing Rock Sioux Tribe, and failure to respect sovereign rights. Significantly, the project was undertaken without the international standards of free, prior and informed consent (FPIC) of the Indigenous community. The Dakota Access Pipeline begins near the border with Canada in northwest North Dakota in the Bakken shale oil fields, and runs underground 1,172 miles through South Dakota and Iowa to an oil storage and transport depot near Patoka, Illinois. Early plans in 2014 involved routing the pipeline across the Missouri River about ten miles north of the city of Bismarck, North Dakota. But when the U.S. Army Corps of Engineers (whose eventual approval was required for critical parts of the pipeline route) evaluated that routing option, it concluded that it was not viable for several reasons, including the potential threat the pipeline would pose to municipal water supplies in Bismarck, which has a largely non-Indigenous population. Later in 2014 before submitting the project application to the North Dakota Public Service Commission for necessary approval, the ETP subsidiary Dakota Access, LLC, itself changed the proposed pipeline route. Instead of crossing the Missouri River north of Bismarck, the pipeline would cross the river a half-mile north of the Standing Rock Sioux Reservation. Although the pipeline does not go directly through the Standing Rock Sioux Reservation, it crosses through historic unceded treaty lands recognized as belonging to the Great Sioux Nation, including the Standing Rock Sioux Tribe, as part of the Fort Laramie Treaties of 1851 and 1868. Historically the U.S. government and corporations have followed a pattern of breaching Treaty agreements, and the DAPL process was no exception. The routing change meant direct impacts on Indigenous communities, and potential violations of their land and water rights. The route takes the pipeline across the Missouri River upriver of the Tribe’s water intakes, and runs 100 feet under the Lake Oahe reservoir — the primary source of drinking water for the Standing Rock Sioux Tribe. A pipeline spill could leave the Tribe with limited or no access to potable water. The lawsuit, filed in federal district court in Washington, D.C., claimed that in issuing the permit for the project, the Corps violated multiple environmental and historic preservation statutes; the suit focused on the decision to reroute the pipeline to the area near the Standing Rock reservation without adequate environmental analysis and consultation with the Tribe. In August 2016, the Tribe asked the court for a preliminary injunction to rescind permitting of the pipeline while the lawsuit could be decided. The hundreds of Tribes and Indigenous Nations gathered at Standing Rock represented the largest gathering of Indigenous Peoples in recent history. The gathering initially formed near the pipeline at Iŋyaŋ Wakháŋagapi Othí, translated as Sacred Stone Camp, and as the protests grew, additional camps formed, such as Red Warrior Camp and Oceti Sakowin Camp. The motto of Sacred Stone Camp, “Water is Life,” became a rallying cry for a movement that called themselves Water Protectors, rather than protesters. Dallas Goldtooth, an organizer with the Indigenous Environmental Network, explains that the word protest has a negative connotation that makes Indigenous People seem angry or violent. Early on and throughout the resistance to the pipeline, Indigenous Peoples at Standing Rock requested that media refer to them as Water Protectors and briefed press on that preference. The camps themselves formed the base for many attempts to stop DAPL, but they were also dedicated to the preservation of “Dakota, Lakota, and Nakota cultural traditions,” according to the Sacred Stone Camp website. Lewis Grassrope, a former police officer who had earlier dropped out of the campaign for Tribe Chairman of the Lower Brule Sioux in South Dakota in order to join the Water Protector camps, stayed on even as winter settled in. “What needs to be accomplished hasn’t been,” he said. “We need to stop the pipeline completely, and we need to rebuild our nation and re-establish our ancestral ways.” At this point, the dissent against the pipeline and the purpose of the camps had grown beyond simply a pipeline protest. To reflect that many of the Indigenous Peoples who camped at Standing Rock focused on prayer and community building, while others engaged in peaceful protest to stop the building of the pipeline, throughout this report we call the Indigenous Peoples who came together at the camps Water Protectors, and specify “protesters” only in referring to specific incidents directly opposing the pipeline. On-the-ground, Indigenous-led oppositional spirit camps near the Standing Rock Sioux Reservation emerged in the spring and summer of 2016. The number of Water Protectors and allies grew significantly over the summer and into the fall of 2016. The historic gathering in opposition to the pipeline brought together some 200 Tribes that had not united in more than 150 years, and gained national and global support and solidarity. In early September 2016, with the court decision on the injunction still pending, Dakota Access bulldozed an area of the pipeline corridor filled with Tribal sacred sites and burials. As detailed in further depth later in this report, security officers used pepper spray and attack dogs against Water Protectors in the area. The statement called on Dakota Access to voluntarily pause all construction activity within 20 miles east or west of Lake Oahe. Dakota Access did not halt construction. The camps remained, and the violence against the Water Protectors continued. In October, the legal-government sequence was repeated: the court, after issuing a temporary halt in construction in September, again rejected an injunction pending appeal, and the Departments of Justice, Interior, and the Army again urged Dakota Access to voluntarily halt construction around the site, indicating that they were not going to issue the permit needed to cross the Missouri. In December 2016, the Army Corps of Engineers halted construction on the pipeline and stated that it would conduct a full environmental review of the pipeline’s impacts before granting the final easement to allow it to cross Lake Oahe. But in February 2017, within days of taking office, newly elected U.S. President Donald Trump ordered an expedited review and approval to allow the pipeline construction to be completed. The Equator Principles are a policy framework that establishes a minimum benchmark for socially and environmentally responsible lending. Ninety-two banks have adopted the Equator Principles, several of which were on the project loan for DAPL. To date, there has been a loophole for “designated countries” such as the United States; the assumption has been that there are strong U.S. federal laws around Indigenous rights and FPIC, and that therefore the same amount of due diligence isn’t needed by banks participating in projects in the United States. Standing Rock proved that wrong — in fact demonstrating that U.S. law and how it was interpreted and executed with regards to DAPL was not up to the standards and best practices expressed in the spirit of the Equator Principles. As the Water Protectors’ opposition to the pipeline construction increased and received increased attention, ETP’s tactics, in conjunction with local law enforcement, became more aggressive. ETP’s consistent and unrelenting response to DAPL opposition has been to try to quash legitimate dissent with intimidation, violence, arrests, and lawsuits. In November 2016, a United Nations expert on human rights called on ETP to pause construction activity near Lake Oahe, pointing to “local security forces employing an increasingly militarized response to protests.” The UN Office of the High Commissioner on Human Rights reported, “Law enforcement officials, private security firms and the North Dakota National Guard have used unjustified force to deal with opponents of the Dakota Access pipeline, according to Maina Kiai, the UN Special Rapporteur on the rights to freedom of peaceful assembly and association.” “Mr. Kiai also said an announcement on 8 November by pipeline operator Energy Transfer LLC Corporation, stating that the final phase of construction would start in two weeks, ‘willfully’ ignored an earlier public statement by federal agencies.” Mr. Kiai said that he was concerned at the “scale of arrests and the conditions in which people were being held”: “Marking people with numbers and detaining them in overcrowded cages, on the bare concrete floor, without being provided with medical care, amounts to inhuman and degrading treatment.’” In this report and other accounts, it is not always clear which acts were performed by private security and which by police, and what role private security had in instigating the police to those actions. This report seeks to highlight the interconnected nature of private security actions with local law enforcement at the Standing Rock Protests. “This is a troubling response to people who are taking action to protect natural resources and ancestral territory in the face of profit-seeking activity,” Mr. Kaia said. “The excessive use of State security apparatus to suppress protest against corporate activities that are alleged to violate human rights is wrong and contrary to the UN Guiding Principles on Business and Human Rights.” His call for ETP to halt construction activity was endorsed by six additional UN experts on human rights and the rights of Indigenous Peoples. As of April 2018, 253 of the 831 state arrests from Standing Rock were still open, according to the Water Protector Legal Collective (WPLC). Nineteen were convicted at trial (three of those are being appealed to the State Supreme Court), and 337 were either dismissed or acquitted at trial. In an attitudinal survey, the WPLC found that 75 percent of Morton County respondents and 77 percent of Burleigh County respondents had already prejudged protesters as guilty. This information was submitted to request a change of venue in cases of notable defendants like Red Fawn Fallis and Michael “Little Feather” Giron. In both cases, the change of venue was denied, and like 224 others, Fallis and Giron both reached plea agreements. Fallis reached a plea agreement for two felonies and is awaiting sentencing, which could be from 21 to 57 months in prison. Giron was sentenced to 36 months in prison. In one case, a judge sentenced two Water Protectors even though the prosecution was not asking for jail time. The number of arrests, combined with the court system’s inability to handle that volume, meant that many cases were delayed far longer than is typical, including nearly 200 cases that were abruptly rescheduled by court officials via unsigned emailed notice in January 2017. In August 2016, ETP’s subsidiary Dakota Access LLC sued Standing Rock Sioux Tribal Chairman Dave Archambault II, Standing Rock Councilman Dana Yellow Fat, and several other named and unnamed defendants, seeking “restraining orders and unspecified monetary damages.” The suit was an attempt by the company to prevent Water Protectors from protesting near the pipeline and to make them pay damages to the company for past protests. 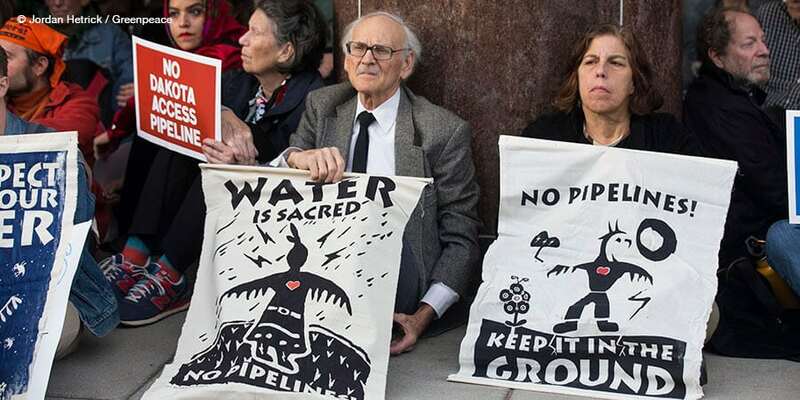 The court initially granted a temporary injunction before Chairman Archambault and the others had a chance to respond — a restraining order that would have meant that they could be held in contempt of court if they demonstrated or engaged in religious expression near the pipeline route. The order was lifted a month later, and in May 2017 the ETP lawsuit was dismissed altogether. North Dakota has no anti-SLAPP legislation. The arbitrary arrests and anti-free-speech lawsuits are not isolated incidents of corporate intimidation tactics; however, the use of RICO and the high damages set the lawsuit apart from the rest, and could further embolden oil and pipeline companies to take this kind of action. In March 2018, Trans Mountain Pipeline ULC (TM), a subsidiary of Kinder Morgan Canada, which faced overwhelming opposition in its controversial expansion of the Trans Mountain pipeline in British Columbia, sued 15 individual activists and “persons unknown,” seeking a permanent and interim injunction as well as damages, interest, and costs. The complaint claimed as a legal basis nuisance, conspiracy, and unlawful interference with economic relations. In April 2018, Mountain Valley Pipeline sued tree-sitter protesters who had stationed themselves in trees being cut along the pipeline route. The company sued Theresa “Red” Terry and her daughter, Theresa Minor Terry, for civil contempt, and asked a federal court to fine them for every day of violation, to direct U.S. marshals to remove the tree-sitters, and to charge them for damages from the pipeline construction delay. The women climbed down from the trees in early May 2018. In October 2014, TM sued five protesters, the pipeline-opponent group BROKE, and “persons unknown” after protests against its pipeline-expansion study work in a national park on Burnaby Mountain. The company sought damages it estimated at more than $5 million per month of delay, as well as injunctive relief, on the basis of trespass, assault, intimidation, nuisance, inducing breach of contract and conspiracy. The lawsuit provoked wide controversy given that the “trespass” allegedly took place in a public park and that the protesters’ facial expressions constituted “assault” (prompting a viral social media campaign of people posting pictures of their “Kinder Morgan face”). In January 2015 TM dropped the case. After ETP filed its 2017 SLAPP / RICO lawsuit against Greenpeace entities and others, “litigation hold letters” were sent to numerous non-parties, even though — as non-parties — they had no obligation to preserve relevant documents. These letters were sent to a number of Indigenous groups as well as independent Greenpeace offices outside the United States and organizations not named in the lawsuit. Following the controversy around the Dakota Access Pipeline, a series of more than 60 bills was introduced restricting the right to protest and criminalizing protest. 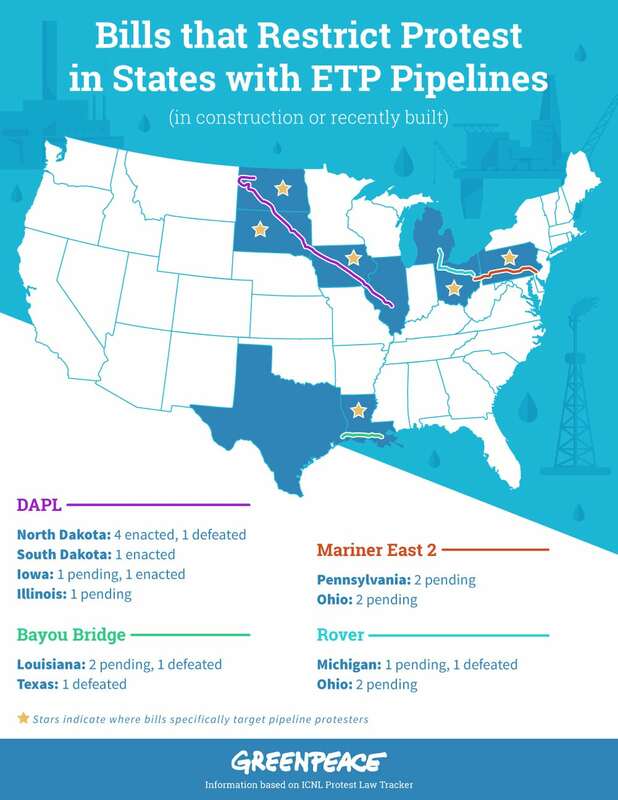 As of the publication of this report, nine have passed and 26 are pending; three of those nine bills that have passed are in North Dakota, the heart of the DAPL controversy. The oil industry in general, ETP, and the American Legislative Exchange Council each had a role in popularizing these bills and spreading this legislative tactic, which is having a long-term chilling effect on free speech, especially around protests against pipelines. The American Legislative Exchange Council (ALEC) has played a significant role in introducing and popularizing bills that criminalize protest, especially concerning “critical infrastructure.” ALEC is a controversial organization that avoids lobbying disclosure requirements by bringing state lawmakers and corporate lobbyists together in private meetings where they collaborate on so-called “model bills” for state legislatures. ALEC’s most prominent and longstanding corporate members include fossil fuel companies Koch Industries, ExxonMobil, and Peabody Energy, all of which have financed and helped manage ALEC operations for decades. Only 2 percent of ALEC’s funding comes from legislative dues; the other 98 percent comes from private donations through a variety of streams, including oil companies and trade groups like the American Petroleum Institute (API). Despite playing an active role in creating legislation for state lawmakers, ALEC funding does not require public disclosure. The first of these “critical infrastructure” bills was authored by Oklahoma Representative Charles McCall, a registered member of ALEC, and introduced in February 2017. According to ALEC, it then inspired a model bill called the Critical Infrastructure Protection Act. The bills became law in North Dakota, Oklahoma, and South Dakota. Similar bills were introduced in Georgia, Colorado, Illinois, Michigan, and Pennsylvania. The oil industry’s anti-protest push continued in 2018. ALEC members in the Iowa state house helped pass a law very similar to the ALEC template bill. Wyoming’s legislature passed a version that was ultimately vetoed by Governor Matt Mead because the proposed criminal punishments were “imprecisely crafted” and redundant with existing law. Dozens of anti-protest bills, such as those relating to “critical infrastructure” or heightened trespassing penalties, are still being considered by legislators in several states, including Minnesota, Ohio, and Pennsylvania. Tracking the funding to ALEC, lobbying, and campaign contributions reveals connections between Energy Transfer Partners and ALEC as well as ETP’’s own role in popularizing and spreading this tactic this tactic. While it is not possible to know the full involvement of ETP with ALEC because funding ALEC does not require public disclosure, it is known that ETP spent $10,000 in 2010 for a Director level sponsorship of ALEC’s Annual Conference, and was a “Trustee” level sponsor of the 2014 Conference, buying time with lawmakers. While Iowa’s lobbying disclosures show activity on specific bills, other states only require lobbyists to be registered but do not show activity on specific legislation. However, Energy Transfer Equity, the parent company of ETP, spent $1.4 million on lobbying in the U.S. in 2016, at the peak of the resistance to the Dakota Access Pipeline, compared to just $240,000 in 2009. From 2015 to 2018, ETP had two registered lobbyists in North Dakota: Joel Gilbertson (who was the ALEC state chairman in 2014) and Levi Andrist (grandson of former Senator John Andrist, who was a member of ALEC), but had no lobbyists registered in North Dakota in 2014, before the controversy. Currently, there are two other anti-protest bills pending in Pennsylvania — where ETP’s Mariner East 2 natural gas pipeline is currently under construction — and one in Ohio where the Rover gas pipeline is under construction. In both states bills have been proposed that seek to increase penalties for protests that hinder the functions of critical infrastructure facilities; the Ohio bill would even criminalize the flying of a drone over such a facility. ETP lobbyists are registered in both states. Energy Transfer Partners contributed to the campaigns of 35 candidates for the House and Senate in Pennsylvania, as well as to the campaign of Tom Wolf, the current Governor, for a total of $27,500. Additionally, in the 2016 cycle, ETP made a donation to Mike Regan, the sponsor of the Pennsylvania bill. The three bills criminalizing protest in North Dakota that passed in 2017 were known informally as the DAPL protest bills. These newly enacted laws significantly increase penalties for already illegal conduct such as rioting and incitement to riot (a charge that implicates speech), and for criminal trespass. Another of the three laws creates a year-long jail sentence for anyone wearing a face covering, including a hood, while committing a crime. One proposed bill would give impunity to any driver who hit or even killed a protester with their car as long as it was deemed unintentional, an idea that was widely criticized as appearing to encourage violence against protesters. Similar bills have been introduced in six other states, but so far none have been enacted. As Indigenous opposition to DAPL grew in the summer and fall of 2016, ETP private security and federal, state, and local law enforcement resorted to surveillance and increasingly militaristic tactics against Water Protectors and allies, tactics which were revealed when The Intercept published a large cache of leaked documents in a series of articles. Law enforcement using militarized tactics against Water Protectors. On Labor Day weekend in 2016, Democracy Now! captured video footage of ETP private security guards using attack dogs and pepper spray against demonstrators. The video was viewed 14 million times on social media, and was picked up by major media outlets. Days later, the North Dakota Bureau of Criminal Investigation issued an arrest warrant for Democracy Now! host Amy Goodman, on charges of engaging in a riot — charges that were later dropped. In fall 2016, after the Democracy Now! video release showing other ETP security using attack dogs and pepper spray against Water Protectors, ETP hired TigerSwan as a contractor on DAPL. In its role, TigerSwan managed other security contractors on the project, which included Silverton, Russell Group of Texas, 10 Code LLC, Per Mar, SRC, OnPoint, and Leighton. On October 27, 2016 hundreds of law enforcement officers (local, federal, and officers from several states) forcibly evicted Water Protectors from one of the camps, Treaty Camp, demolishing the camp and arresting 142 activists. TigerSwan had provided law enforcement with a surveillance briefing the day before the eviction. As the eviction was underway, Kyle Thompson, an employee of Leighton Security — one of the security firms managed by TigerSwan, drove a pickup truck at high speed toward Oceti Sakowin, a larger Water Protector camp. Forced off the road by Water Protectors, Thompson covered his face with sunglasses and a bandana and brandished an AR-15 semi-automatic rifle, at one point pointing the weapon into the faces of the unarmed protesters. Thompson was surrounded by Water Protectors until he could be disarmed and arrested by officers from the Bureau of Indian Affairs. Thompson was released without charges. The activities of private security employees, including Kyle Thompson, raise questions about the level of due diligence exercised by ETP and its contractors in assessing the suitability and providing oversight of persons hired for these situations. On September 23, 2016, the North Dakota Private Investigation and Security Board (PISB) notified TigerSwan that the PSIB was aware that the company was operating in North Dakota without a license, and requested information about TigerSwan’s activities in the state. James Reese applied for a North Dakota private security license five days later. In June 2017, the PISB brought a civil suit in North Dakota against TigerSwan for illegal and unlicensed operations during DAPL construction. The suit sought fines and penalties against TigerSwan, and sought to ban TigerSwan from working in the state. PISB held that at the time of the suit, TigerSwan continued to work in North Dakota, maintaining “roving security teams,” that TigerSwan personnel “acting as security personnel are armed with semiautomatic rifles and sidearms while engaging in security services,” and that the company continued to provide private investigative services on behalf of its client, ETP. The complaint also described tactics used by TigerSwan, including “flyover photography,” “surveillance of social media accounts,” placing or attempting to place “undercover private security agents within the protest group,” and coordination with local law enforcement officials. One of three counts in the PISB civil suit was dismissed in April 2018 and the remaining counts were dismissed in May 2018. The PISB attorney said he plans to file an appeal. Given the incitement of police activity, the intensity of violence directed toward Water Protectors, and the disregard for state regulations that TigerSwan demonstrated in North Dakota, it is concerning that ETP would choose to contract with TigerSwan to provide security services on projects in other states, like the Mariner East 2 pipeline project in Pennsylvania. In June 2017, TigerSwan applied for a license to operate in Louisiana, where construction is underway on ETP’s Bayou Bridge pipeline. (Additional information on the Bayou Bridge pipeline can be found later in this report.) The application was denied in July 2017. The executive director of the Louisiana State Board of Private Security Examiners cited the North Dakota license denials and litigation in refusing to certify TigerSwan. In February 2017, retired general James “Spider” Marks wrote a pro-ETP opinion article for the Daily Advertiser in Louisiana, without disclosing his membership on a TigerSwan advisory board. In March 2018, James Marks and Washington DC-based public relations and lobbying firm DCI Group used robocalls to invite Louisiana residents to take part in a “free informational conference call on the Bayou Bridge pipeline,” without revealing the associations between ETP, TigerSwan, Marks, and DCI Group, which has ties to the American Legislative Exchange Council (ALEC). In September 2017, four Pennsylvania residents, including Elise Gerhart, sued ETP, its related company Sunoco Pipeline, and TigerSwan, alleging that the companies had violated the residents’ constitution rights when police arrested them on Gerhart’s property in March 2016. The residents were protesting tree-cutting on an easement on the property that the company obtained through eminent domain to build the pipeline. According to the lawsuit, ETP/Sunoco entered the property almost a year before the final state permits were issued for pipeline construction, and before it was allowed to do so under a “writ of possession” issued by a state judge in April 2017. “The beneficiaries are likely to be those citizens with disproportionate influence and power in the political process, including large corporations and development firms. As for the victims, the government now has license to transfer property from those with fewer resources to those with more. The Founders cannot have intended this perverse result.” —U.S. Supreme Court Justice Sandra Day O’Connor, in her dissent in Kelo, et. al. v. City of New London, et al., 545 U.S. 469 (2005). ETP, Sunoco, and their subsidiaries are aggressively seizing private property through eminent domain proceedings in all of their current major pipeline projects — Bayou Bridge, DAPL, ETCO, ME2, and the Rover Pipeline — in order for ETP to build the pipelines through private property. On behalf of ETP, state governments in seven states (Pennsylvania, Ohio, Iowa, West Virginia, Michigan, North Dakota, Louisiana) are taking hundreds of landowners to court to expropriate their land, claiming that there is a public purpose or benefit. The companies’ efforts to obtain and maintain easement agreements from property owners have been met with vigorous resistance in several areas, and in some cases, private landowners have filed lawsuits to challenge the property seizure, or at a minimum, to bring transparency to the process. Bold Iowa is organizing the First Nation - Farmer Climate Unity March, September 1-8, to raise awareness about the lawsuit against eminent domain to build the pipeline. Historically, eminent domain proceedings were used by the government to take private land for a public use — for example to build roads — while compensating the owner. The legal standard was expanded to include projects that have a “public purpose,” a definition that has been broadened further to allow the government to take private lands and transfer the rights to private companies. Originally, this was applied to projects that could provide a direct economic benefit to the locality, such as redevelopment to stimulate the local economy, but in cases such as pipeline construction it is being used for projects where there is active debate and no agreement that there is proven benefit to the immediate community. DAPL crosses 343 miles of land in Iowa. ETP and its subsidiary Dakota Access, LLC were not able to get the consent of all the affected landowners to allow the pipeline to cross through their property. The Iowa Utilities Board (IUB) granted Dakota Access the permit to construct the oil pipeline through Iowa in March 2016, and in doing so, gave Dakota Access eminent domain powers in the project. Although the use of eminent domain was deeply unpopular among Iowans, Dakota Access used eminent domain proceedings to seize the private property that landowners did not give up willingly. A group of landowners, together with the Sierra Club Iowa Chapter, brought a lawsuit against the IUB, arguing that the DAPL permit should not have been granted, and that both Iowa law and the U.S. Constitution preclude the use of eminent domain to condemn property for a crude oil project. In Iowa, a company must show that a pipeline meets the legal standard of providing a “public convenience and necessity” in order get a permit from the IUB. Dakota Access argued that there was an economic value to the public by creating construction jobs, but Sierra Club argued that construction jobs and general economic impact have nothing to do with whether the pipeline will provide a needed service. The Iowa Supreme Court is currently reviewing the case and will likely issue a decision in 2018. ETP’s Bayou Bridge Pipeline (BBP) would transport crude oil cross 162 miles of ecologically sensitive land in Louisiana — passing through 11 parishes, and impacting 700 bodies of water, including many in the Atchafalaya Basin, an environmentally sensitive National Heritage Area. Like DAPL, the BBP project is only possible through the seizure of private lands. ETP has used eminent domain proceedings to expropriate more than 400 pieces of private property in Louisiana. BBP already faces multiple lawsuits in federal and state courts regarding environmental regulations; in January 2018 three Louisiana organizations, Atchafalaya Basinkeeper, Louisiana Bucket Brigade, and 350 New Orleans, represented by the New York-based Center for Constitutional Rights (CCR), filed suit to obtain public records regarding BBP’s “land grabs.” With BBP asserting that it has “legal authority to exercise eminent domain under state law as a ‘common carrier’ because its proposed pipeline is ‘in the public interest,’” the groups argue that the company should be subjected to the same transparency requirements that would be required of public agencies exercising eminent domain. Pipelines operated by ETP and its related company, Sunoco, spilled hazardous liquids 527 times from 2002 to the end of 2017 — an average of one incident every 11 days. Those 527 incidents, reported by the Pipeline Hazardous Material Safety Administration (PHMSA), released a total of 87,273 barrels (3.6 million gallons, or about five-and-a-half Olympic-sized swimming pools) of hazardous liquids, including 66,515 barrels (2.8 million gallons) of crude oil. Sixty-seven of the spills were reported to have contaminated water, including 18 incidents that contaminated groundwater, and more than 100 of the incidents involved 50 barrels or more (2,100 gallons, a volume which is considered “significant” by the federal regulator). The spills caused an estimated $115 million in property damage. ETP’s violations go beyond pipeline spills and construction mishaps. A database combining violations and enforcement data across federal agencies (including environmental violations, energy market manipulation, workplace safety or health violations, and pipeline safety violations) shows ETP to have been subject to 146 enforcement actions and fined more than $355 million since 2000. Among fine and violations included in this database, ETP is among the worst-ranked pipeline companies, followed by Enbridge (42 violations, $248 million in fines) and Kinder Morgan (127 violations, $164 million in fines). These violations involve labor practices, workplace safety, clean air violations, market manipulation, and others. Since 2002, PHMSA has issued 106 violations against ETP and Sunoco and related subsidiaries, and fined them $5,675,870. These violations include failures to inspect crossings under waterways, failures to repair unsafe pipe for five years, failure to report unsafe conditions, repeated failures to properly notify emergency responders and the public, and others. The construction of the Rover and Mariner pipelines have been marked with spills, environmental violations, and stop-work orders. The two pipelines are designed to transport natural gas and liquids from the Utica and Marcellus shale production areas. By March 2018, after only 13 months of construction, Rover had spilled more than 2.2 million gallons of drilling fluids, industrial waste, and/or sediment, amassing more than 100 violations/non-compliance incidents and four stop work orders for failure to comply with environmental regulations. Mariner construction has led to 108 “inadvertent” releases in numerous locations along the route, leading to more than 50 violations, and several reports of private water wells being impacted by construction activities. Assuming the U.S. system-wide rate for significant crude oil spills of 0.001 per year per mile, Greenpeace USA has projected that the DAPL and its southern component ETCO would suffer 96 significant spills and Louisiana’s Bayou Bridge Pipeline would suffer eight significant spills, during a 50-year nominal lifetime. ETP and its subsidiaries also reported 58 incidents to PHMSA from their extensive natural gas pipeline network. Natural gas pipelines bring with them risks of explosions and exposure to harmful substances; in 2017, for instance, a home in Texas was reportedly sprayed with hydrogen sulfide gas and natural gas condensate after the rupture of ETP’s nearby, mostly unregulated natural gas gathering line. In 2005, Sunoco’s Pennsylvania refineries were subject to a comprehensive Clean Air Act settlement that included a $3 million civil penalty, $3.9 million spent on supplementary environmental projects, and $285 million to install emissions controls. The settlement was aimed at reducing emissions of nitrogen oxide and sulfur dioxide, hazardous air pollutants that can “cause serious respiratory problems and exacerbate asthma in children.” In 2018 Sunoco (along with BP and Shell) agreed to pay the State of New Jersey $64 million to settle a lawsuit alleging contamination of groundwater from the gasoline additive methyl tertiary butyl ether. An analysis of EPA’s 2015 Toxics Release Inventory (TRI) data conducted by the Political Economy Research Institute placed ETP among the “Toxic 100 Air Polluters,” ranking ETP 75 in air toxics pollution and 83 in greenhouse gas pollution. ETP also scored poorly on two environmental-justice metrics measuring the impact of air pollution on minorities and people living in poverty, largely because of emissions from the Philadelphia Energy Solutions refinery, in which ETP holds a 50 percent stake along with the Carlyle Group. The refinery filed for bankruptcy in 2018. ETP did not rank in the top 100 for water emissions, but pipeline spills are not reported under TRI. In general, the oil industry has one of the highest rates of severe workplace injury among its workers. In 2016, workers filed a lawsuit after suffering severe burns and injuries when safety equipment failed while they were servicing a Sunoco pipeline. Since 2000, ETP has been fined 39 times for workplace safety violations, resulting in more than $1.4 million in fines. These include large fines for multiple violations — including repeat and serious violations — found at Sunoco’s facilities in Oregon, OH, Westville, NJ, and Marcus Hook, PA. ETP has been fined three times by the National Labor Relations Board for back wages resulting from “unfair labor practices” totaling $177,000, and five times by the Department of Labor’s Wage and Hour Division, totaling $484,000. Energy Transfer Partners made numerous mistakes and transgressions during the development and construction of the Dakota Access Pipeline. Its lack of respect for the rights and the free, prior, informed consent of the Standing Rock Sioux Tribe; its continuous disregard of the suggestions and recommendations of government agencies, clients, and international human rights groups; and its condoning of militarized use of force against Water Protectors and allies at Standing Rock are all alarming. 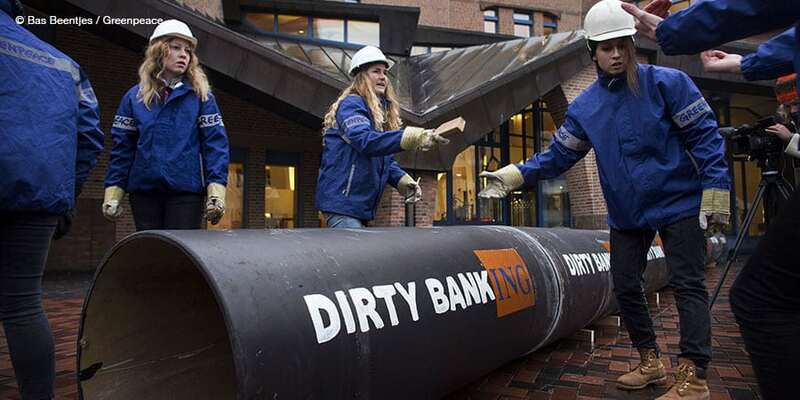 ETP’s behaviour led many banks (including ING, DNB Capital, and BNP Paribas) to formally break ties with the project, selling out their stake in the $2.5 billion DAPL project loan and/or further distancing themselves from the company. The track record of ETP and related companies on pipeline spills and construction-related incidents is problematic — averaging about one spill every 11 days between 2002 and 2017. Already in 2018, the company has had significant spill incidents and safety violations on its pipelines currently under development, which has led to fines, penalties, and delays. Although it was only completed in 2017, DAPL has already had 7 spill incidents. Communities living in the shadow of ETP’s pipeline projects, including Rover, Bayou Bridge, and Mariner East 2, have faced harassment, loss of private property, both the threat as well as the consequence of pipeline spills, and more. For those who stand up to the company, some face retaliatory litigation and harsher laws which restrict free speech and freedom to dissent. Despite global controversy following the events at Standing Rock, ETP and related companies continue to exercise legal tactics and lobbying efforts aimed at silencing opposition, and to retain private security firms with a track record of aggressive tactics. ETP’s unwillingness or inability to learn the necessary corporate lessons from DAPL should raise concerns among the company’s institutional financiers, who are exposed — as they were on DAPL — to the reputational and financial impacts of ETP’s unacceptable practices. In light of ETP’s ongoing approach to human rights, and its poor record on pipeline spills and safety, we believe that banks should end any current financial relationship with ETP and related companies, and should not provide any further financial services, including loans, to the companies. This report is made possible by the dedicated and thorough drafting and editing of Anne Garland. This report drew heavily on the efforts and work of Water Protector Legal Collective, Earthjustice, which continue to defend the civil liberties and rights of individuals, communities, Tribes, and organizations facing the consequences of Energy Transfer Partners’ efforts to intimidate and silence. Thank you also to the International Center for Not-for-Profit Law for their work on anti-protest bills and their continued efforts to defend the rights and freedoms of all individuals. The movement to stop pipelines has been and will continue to be Indigenous-led. Greenpeace USA is proud to stand in solidarity with Water Protectors, frontline communities, and grassroots leaders who continue to oppose ETP’ pipeline projects. 1. Mr. Alvaro Pop, Dalee Dorough and Chief Edward John, “Statement from the Chair and PFII Members Dalee Dorough and Chief Edward John on the Protests on the Dakota Access Pipeline,” UNDESA, August 31, 2016,https://www.un.org/development/desa/indigenouspeoples/news/2016/08/statement-on-protests/. 2. “Free Prior and Informed Consent – An Indigenous Peoples’ right and a good practice for local communities – FAO,” UNDESA Division For Inclusive Social Development Indigenous Peoples, October 14, 2016, https://www.un.org/development/desa/indigenouspeoples/publications/2016/10/free-prior-and-informed-consent-an-indigenous-peoples-right-and-a-good-practice-for-local-communities-fao/. 3. “Joint Statement from Department of Justice, Department of the Army and Department of the Interior Regarding D.C. Circuit Court of Appeals Decision in Standing Rock Sioux Tribe v. U.S. Army Corps of Engineers,” October 10, 2016, https://www.justice.gov/opa/pr/joint-statement-department-justice-department-army-and-department-interior-regarding-dc. 4. Chief Edward John, Firsthand observations of conditions surrounding the Dakota Access Pipeline, New York: United Nations Permanent Forum on Indigenous Issues, November 1, 2016, https://www.un.org/development/desa/indigenouspeoples/wp-content/uploads/sites/19/2016/11/Report-ChiefEdwardJohn-DAPL2016.pdf. 5. “Native Americans Facing Excessive Force in North Dakota Pipeline Protests – UN Expert,” OHCHR, November 15, 2016, http://www.ohchr.org/EN/NewsEvents/Pages/DisplayNews.aspx?NewsID=20868&LangID=E. 6. “Regarding Investigation and Observation.” Margaret Huang to Hon. Loretta Lynch. October 28, 2016. In Amnesty International USA. https://www.amnestyusa.org/pdfs/US_DOJ_letter_Lynch_regarding_investigtion_and_observation.pdf. 7. Water Protector Legal Collective, “DAPL SLAPP Suit Against Water Protectors Dismissed,” news release, May 18, 2017, Water Protector Legal Collective, https://waterprotectorlegal.org/dapl-slapp-suit-water-protectors-dismissed/. 8. Andrew M. Harris and Tim Loh, “Energy Transfer Suit Claims Greenpeace Incites Eco-Terrorism,” Bloomberg, August 22, 2017 https://www.bloomberg.com/news/articles/2017-08-22/energy-transfer-sues-greenpeace-claims-it-incites-eco-terrorism. 9. “US Protest Law Tracker,” The International Center for Not-for-Profit Law, last updated June 10, 2018, http://www.icnl.org/usprotestlawtracker/. 10. “UN rights experts urge lawmakers to stop “alarming” trend to curb freedom of assembly in the US,” OHCHR, March 30, 2017, http://www.ohchr.org/RU/NewsEvents/Pages/DisplayNews.aspx?NewsID=21464&LangID=E. 11. “Lobbyist Declarations,” The Iowa Legislature, 2017-2019, https://www.legis.iowa.gov/lobbyist/reports/declarations?ga=87&ba=SSB3062. 13. Alleen Brown, Will Parrish, and Alice Speri, “Leaked Documents Confirm Counterterrorism Tactics Used at Standing Rock to “Defeat Pipeline Insurgencies,”” The Intercept, May 27, 2017, https://theintercept.com/2017/05/27/leaked-documents-reveal-security-firms-counterterrorism-tactics-at-standing-rock-to-defeat-pipeline-insurgencies/. 14. “North Dakota Private Investigation and Security Board Records,” The Intercept, June 28, 2017, https://theintercept.com/document/2017/06/28/north-dakota-private-investigation-and-security-board-records/. 15. Brown, Alleen, Will Parrish, and Alice Speri, “The Battle of Treaty Camp,” The Intercept, October 27, 2017, https://theintercept.com/2017/10/27/law-enforcement-descended-on-standing-rock-a-year-ago-and-changed-the-dapl-fight-forever/. 16. Jon Hurdle, “Pipeline opponents sue Sunoco, alleging constitutional violations,” State Impact Pennsylvania, NPR, September 25, 2017, https://stateimpact.npr.org/pennsylvania/2017/09/25/pipeline-opponents-sue-sunoco-alleging-constitutional-violations/. 17. Ibid; Anya Litvak, “Washington County landownders caught in eminent domain fight with Rover,” Pittsburgh Post-Gazette, February 20, 2017, http://www.post-gazette.com/powersource/consumers-powersource/2017/02/20/Washington-County-landowners-caught-in-eminent-domain-fight-with-Rover-natural-gas-pipeline-Energy-Transfer-Partners/stories/201702160029; CCR Press Department, “Bayou Bridge Pipeline Opponents Sue Company for Records Related to Land Grab Across Proposed Route,” news release, January 16, 2018, Center for Constitutional Rights, https://ccrjustice.org/home/press-center/press-releases/bayou-bridge-pipeline-opponents-sue-company-records-related-land; Andrea Sinele, Iowa Farmers Oppose Eminent Domain for Dakota Access Pipeline, The Michigan Journal of Environmental & Administrative Law Online, March 3, 2017, http://www.mjeal-online.org/iowa-farmers-oppose-eminent-domain-for-dakota-access-pipeline/ – _edn3. 19. Tim Donaghy and Donna Lisenby, Oil and Water: ETP & Sunoco’s History of Pipeline Spills, Greenpeace USA & Waterkeeper Alliance, April 17, 2018, https://www.greenpeace.org/usa/reports/oil-and-water/. 21. “Violation Tracker Parent Company Summary Page: Energy Transfer,” Good Jobs First, https://violationtracker.goodjobsfirst.org/parent/energy-transfer. 22. “Free Prior and Informed Consent – An Indigenous Peoples’ right and a good practice for local communities – FAO,” UNDESA Division For Inclusive Social Development Indigenous Peoples, October 14, 2016, https://www.un.org/development/desa/indigenouspeoples/publications/2016/10/free-prior-and-informed-consent-an-indigenous-peoples-right-and-a-good-practice-for-local-communities-fao/. 24. 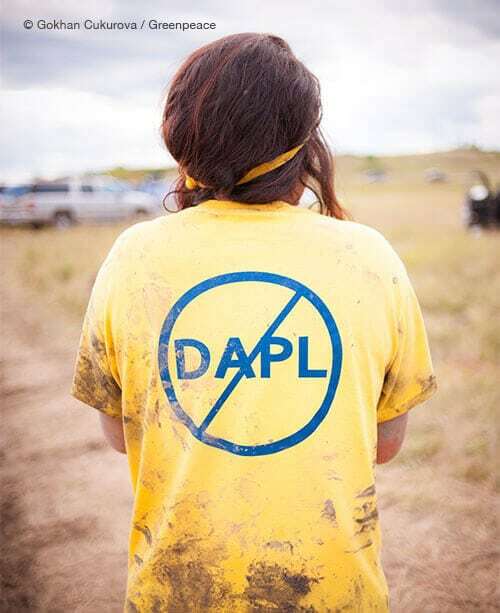 “Divestment from the Dakota Access Pipeline,” Michelle Cook, JD, India Reed Bowers, and Andrew B. Reid to Joachim Oechslin, May 31, 2017, In The Other 98% Action, https://other98-action-agitpopcommunica.netdna-ssl.com/wp-content/uploads/sites/7/2017/06/WPLC-CS-Bank-Divestment-Letter-5-31-2017.pdf. 26. Stacey Yu. 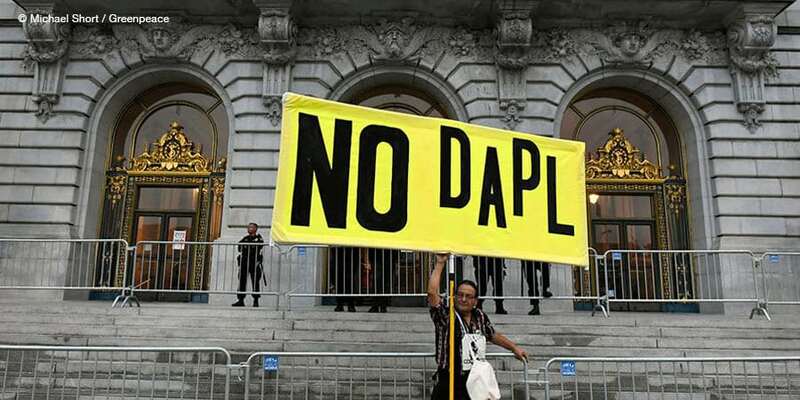 “The Precedent Behind DAPL: Violations of Environmental Law and Lack of Native Agency.” The Columbia Undergraduate Law Review (blog), March 20, 2017. http://blogs.cuit.columbia.edu/culr/2017/03/20/the-precedent-behind-dapl-violations-of-environmental-law-and-lack-of-native-agency/. 27. Gregor Aisch and K. K. Rebecca. “The Conflicts Along 1,172 Miles of the Dakota Access Pipeline.” The New York Times. 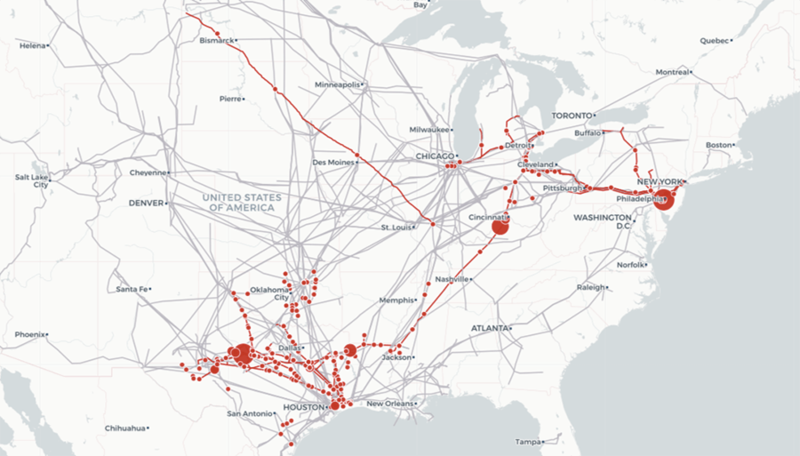 November 23, 2016. https://www.nytimes.com/interactive/2016/11/23/us/dakota-access-pipeline-protest-map.html. 30. Amy K. Lehr, Indigenous Peoples’ Rights and the Role of Free, Prior and Informed Consent, New York: United Nations Global Compact : February 20, 2014, http://solutions-network.org/site-fpic/files/2012/09/FPIC_Indigenous_Peoples_UN-global-compact.pdf. 31. United Nations Declaration on the Rights of Indigenous Peoples, Article 19: https://documents-dds-ny.un.org/doc/UNDOC/GEN/N06/512/07/PDF/N0651207.pdf?OpenElement. 33. Standing Rock Sioux Tribe vs. U.S. Army Corps of Engineers, 1-48 (The United States District Court for the District of Columbia July 27, 2016), https://earthjustice.org/sites/default/files/files/3154 1 Complaint.pdf. 34. “Victory for Standing Rock: DAPL Easement Not Granted,” Earthjustice, December 4, 2016, https://earthjustice.org/news/press/2016/victory-for-standing-rock-dapl-easement-not-granted. 35. Earthjustice Staff, “FAQ: Standing Rock Litigation,” Earthjustice, December 4, 2017, https://earthjustice.org/features/faq-standing-rock-litigation. 36. “North Dakota: “Indigenous Peoples Must Be Consulted Prior to Oil Pipeline Construction” – UN Expert,” OHCHR, September 22, 2016, http://www.ohchr.org/EN/NewsEvents/Pages/DisplayNews.aspx?NewsID=20570&LangID=E. 37. Report of the Special Rapporteur on the rights of indigenous peoples on her mission to the United States of America, A/HRC/36/46/Add.1, August 9, 2017, https://documents-dds-ny.un.org/doc/UNDOC/GEN/G17/236/36/PDF/G1723636.pdf?OpenElement. 38. Allison Herrera, “Standing Rock Activists: Don’t Call Us Protesters. We’re Water Protectors,” Public Radio International, October 31, 2016, https://www.pri.org/stories/2016-10-31/standing-rock-activists-dont-call-us-protesters-were-water-protectors. 39. Susie Neilson, “The Media’s Standing Rock Problem Looks a Lot like Its Black Lives Matter Problem,” Quartz, November 22, 2016, https://qz.com/843368/false-balance-in-the-coverage-of-the-police-violence-at-standing-rock-is-undermining-the-nodapl-movement/#. 40. “Sacred Stone Camp – About,” Camp of the Sacred Stones – Iŋyaŋ Wakháŋagapi Othí, http://sacredstonecamp.org/about/. 41. Saul Elbein and Erika Larson, “These Are the Defiant “Water Protectors” of Standing Rock,” National Geographic, January 26, 2017, https://news.nationalgeographic.com/2017/01/tribes-standing-rock-dakota-access-pipeline-advancement/. 42. “Tribal Citizens Prepare to Blockade Bakken Oil Pipeline,” Unicorn Riot, March 29, 2016, https://www.unicornriot.ninja/2016/tribal-citizens-prepare-blockade-direct-access-oil-pipeline/. 43. “Stand With Standing Rock,” American Civil Liberties Union, https://www.aclu.org/issues/free-speech/rights-protesters/stand-standing-rock. 44. Alan Taylor, Tempers Flare During Protest Against the Dakota Access Pipeline, The Atlantic, September 6, 2016, https://www.theatlantic.com/photo/2016/09/tempers-flare-during-protest-against-the-dakota-access-pipeline/498809/. 46. The U.S. Department of Justice, “Joint Statement from Department of Justice, Department of the Army and Department of the Interior Regarding D.C. Circuit Court of Appeals Decision in Standing Rock Sioux Tribe v. U.S. Army Corps of Engineer,” news release, October 10, 2016, The U.S. Department of Justice, https://www.justice.gov/opa/pr/joint-statement-department-justice-department-army-and-department-interior-regarding-dc. 47. Chief Edward John, Firsthand observations of conditions surrounding the Dakota Access Pipeline, New York: United Nations Permanent Forum on Indigenous Issues, November 1, 2016, https://www.un.org/development/desa/indigenouspeoples/wp-content/uploads/sites/19/2016/11/Report-ChiefEdwardJohn-DAPL2016.pdf. 48. John, Conditions surrounding the DAPL. 49. 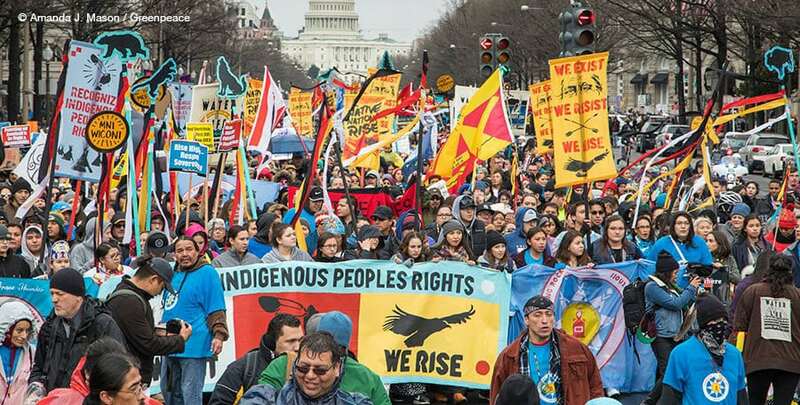 Amnesty International USA, “Resumption of Dakota Access Pipeline Construction Violates Rights of Indigenous Peoples,” News release, February 7, 2017, Amnesty International USA, https://www.amnestyusa.org/press-releases/amnesty-international-usa-resumption-of-dakota-access-pipeline-construction-violates-rights-of-indigenous-peoples/. 50. “Citi’s Statement on the Dakota Access Pipeline Project,” Citigroup (blog), November 30, 2016, https://blog.citigroup.com/2016/11/our-statement-on/. 51. Amy K. Lehr, “Foley Hoag Releases Summary Report on Good Practices for Oil Pipelines, as Commissioned by the Dakota Access Consortium of Lenders,” Corporate Social Responsibility and the Law (a site by Foley Hoag, LLP), May 10, 2017,http://www.csrandthelaw.com/2017/05/10/foley-hoag-releases-summary-report-on-good-practices-for-oil-pipelines-as-commissioned-by-the-dakota-access-consortium-of-lenders/. 52. 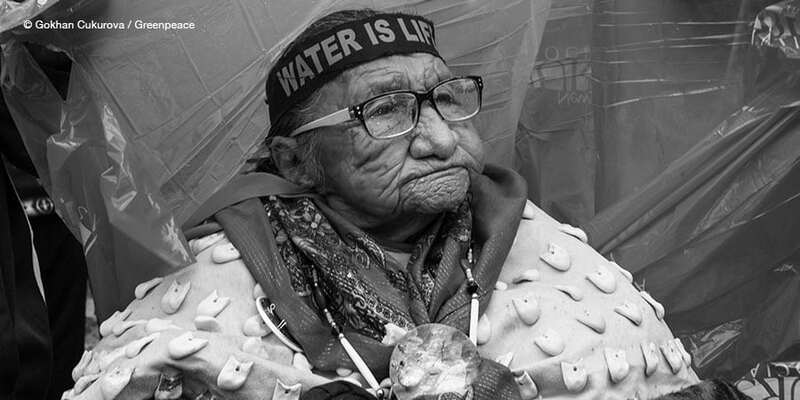 Amy K. Lehr, Cicely Ott Parseghian and Gare A. Smith, Public Summary of Foley Hoag LLP Report, Good Practice for Managing the Social Impacts of Oil Pipelines in the United States, Washington, D.C. : Foley Hoag, LLP : May 9, 2017, http://www.foleyhoag.com/publications/ebooks-and-white-papers/2017/may/good_practices_social_impacts_oil_pipelines_united_states. 53. “Letter from 10 Banks to EPA Secretariat on Designated Countries,” Claire Gillig-Brouwer / ABN AMRO, Patrick Bader / BNP PARIBAS, Juan A. Casals Ovalle / BBVA, Eric Cochard / Credit Agricole CIB, Emilie Goodall / FMO, Antonella Bernasconi / Intesa San Paolo, Pierre Dufaud / Natixis, Robin Willing / NIBC, Bas Rüter / Rabobank, and Sylvie Préa / Société Générale to The Equator Principles Association, May 22, 2017, in BankTrack,https://www.banktrack.org/download/letter_from_10_banks_to_epa_secretariat_on_designated_countries_eps/170522_letter_banks_on_designated_countries.pdf. 54. “Designated Countries – The Equator Principles,” The Equator Principles, Last updated April 4, 2018, http://equator-principles.com/designated-countries/. 55. EP Secretariat, “EP Association Annual Meeting 2017 Outcomes,” EP Association News, November 2, 2017, http://equator-principles.com/ep-association-news/ep-association-annual-meeting-2017-outcomes/. 56. “Letter from 65 Organizations to Equator Principles Association on Brazil Annual Meeting.” Johan Frijns / Director BankTrack, The Netherlands to Mr. Nigel Beck, Standard Bank, Chair of the Steering Committee of the Equator Principles Association (EPA); All Equator Principles Financial Institutions (EPFIs). August 29, 2017. In BankTrack. https://www.banktrack.org/download/letter_from_65_organizations_to_equator_principles_association_on_brazil_annual_meeting/170829_final_letter_to_epa_with_signatories_2.pdf. 57. 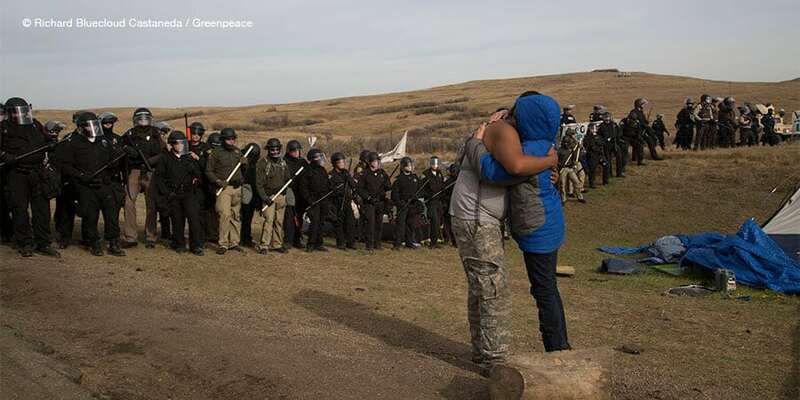 Tor Hodenfield, “Sioux Protests and the Protection of Human Rights in the United States,” OpenDemocracy, December 08, 2016, https://www.opendemocracy.net/democraciaabierta/tor-hodenfeld/sioux-protests-and-protection-of-human-rights-in-united-states. 59. “Regarding Investigation and Observation.” Margaret Huang to Hon. Loretta Lynch. October 28, 2016. In Amnesty International USA. https://www.amnestyusa.org/pdfs/US_DOJ_letter_Lynch_regarding_investigtion_and_observation.pdf. 60. “Native Americans Facing Excessive Force in North Dakota Pipeline Protests – UN Expert,” OHCHR, November 15, 2016, http://www.ohchr.org/EN/NewsEvents/Pages/DisplayNews.aspx?NewsID=20868&LangID=E. 64. “ND State Criminal Cases,” Water Protector Legal Collective, last updated June 5, 2018, https://waterprotectorlegal.org/nd-state-criminal-defense/. 65. State of North Dakota, Plaintiff vs. Kelli Maria Peterson, Joseph Haythorn, Valerie Dawn Wolfnecklace, Defendants, 1-43 (In District Court South Central Judicial District for the State of North Dakota, County of Morton, October 12, 2017), https://other98-action-agitpopcommunica.netdna-ssl.com/wp-content/uploads/sites/7/2018/02/2017.10.12-Ex-A-to-Motion-for-Change-of-Venue-Little-Feather.pdf. 66. “#NoDAPL Water Protector Michael “Little Feather” Giron Sentenced 36 Months in Prison,” Indian Country Today, May 30, 2018, https://indiancountrymedianetwork.com/culture/social-issues/nodapl-water-protector-michael-little-feather-giron-sentenced-36-months-prison/. 67. Democracy Now! Staff, “Standing Rock: Judge Sentences 2 Water Protectors to Jail Time,” Democracy Now!, October 20, 2017, https://www.democracynow.org/2017/10/20/headlines/standing_rock_judge_sentences_2_water_protectors_to_jail_time. 68. Colin Moynihan, “A Murky Legal Mess at Standing Rock,” The New Yorker, January 11, 2017, https://www.newyorker.com/news/news-desk/people-arrested-at-standing-rock-protests-fight-for-their-legal-rights. 69. Water Protector Legal Collective, “DAPL SLAPP Suit Against Water Protectors Dismissed,” news release, May 18, 2017, Water Protector Legal Collective, https://waterprotectorlegal.org/dapl-slapp-suit-water-protectors-dismissed/. 72. Michel Forst, Situation of human rights defenders, New York: United Nations General Assembly: August 3, 2016, https://www.protecting-defenders.org/sites/protecting-defenders.org/files/57d2a3364_0.pdf. 73. “State Anti-SLAPP Laws,” Public Participation Project, https://anti-slapp.org/your-states-free-speech-protection/. 74. Andrew M. Harris and Tim Loh, “Energy Transfer Suit Claims Greenpeace Incites Eco-Terrorism,” Bloomberg, August 22, 2017 https://www.bloomberg.com/news/articles/2017-08-22/energy-transfer-sues-greenpeace-claims-it-incites-eco-terrorism. 75. Staff of the Organized Crime and Gang Section U.S. Department of Justice, A Manual for Federal Prosecutors (6th edition), Washington, D.C.: May 2016, https://www.justice.gov/usam/file/870856/download. 76. Annalisa Ciampi, SLAPP and FoAA rights by the United Nations Special Rapporteur on the Rights to Freedom of Peaceful Assembly and of Association (found and downloaded from “Info Note”), New York: OHCHR: 2017, http://www.ohchr.org/EN/Issues/AssemblyAssociation/Pages/SRFreedomAssemblyAssociationIndex.aspx. 78. Gregory S. Schneider, “Women sitting in trees to protest pipeline come down after judge threatens fines,” Washington Post, May 5, 2018, https://www.washingtonpost.com/local/virginia-politics/federal-judge-rules-against-tree-sitters-protesting-gas-pipeline/2018/05/05/000b14b8-5016-11e8-af46-b1d6dc0d9bfe_story.html. 79. Jon Woodward, “Enbridge abandons move to seize assets from environmental non-profit” (video), CTV News Vancouver, October 17, 2017, https://bc.ctvnews.ca/enbridge-abandons-move-to-seize-assets-from-environmental-non-profit-1.3636675. 81. Steve Horn, “ALEC, Corporate-Funded Bill Mill, Considers Model State Bill Cracking Down on Pipeline Protesters,” Desmog, December 11, 2017, https://www.desmogblog.com/2017/12/11/alec-model-bill-pipeline-protesters. 82. Polluter Watch (@PolluterWatch), Twitter Post, March 8, 2018 , 3:56PM, https://twitter.com/PolluterWatch/status/971852243535151104. 83. Kert Davies, “ALEC and Exxon: A Long Legacy of Climate Backlash,” Climate Investigations Center, February 20, 2014, http://climateinvestigations.org/alec_and_exxon_long_legacy_of_climate_backlash/. 84. Nick Surgey, “Peabody Coal Bankruptcy Reveals Climate Denial Network Funding,” The Center for Media and Democracy’s PR Watch, June 13, 2016, https://www.prwatch.org/news/2016/06/13114/peabody-coal-bankruptcy-reveals-extensive-funding-climate-denial-network. 85. Lisa Graves, “A CMD Special Report on ALEC’s Funding and Spending,” July 13, 2011, http://www.prwatch.org/news/2011/07/10887/cmd-special-report-alecs-funding-and-spending. 88. Terrorism Prevention and Critical Infrastructure Protection Act of 2017, H.R. 945 (2018). Description found ound online at https://www.alec.org/model-policy/critical-infrastructure-protection-act/. 89. Dale Denwalt, “New Oklahoma law could mean heavy fines, jail time for pipeline protestors,” NewsOK, May 7, 2017, https://newsok.com/article/5548061/new-oklahoma-law-could-mean-heavy-fines-jail-time-for-pipeline-protesters. 90. SB. 176, Sess. of 2017 (South Dakota 2017), http://sdlegislature.gov/docs/legsession/2017/Bills/SB176ENR.pdf. 91. Lacey Louwagie, “SD Passes Law to Crack Down on Pipeline Protest,” Courthouse News Service, March 14, 2017, https://www.courthousenews.com/s-d-passes-law-crack-protests/. 93. Rod Boshart, “Reynolds signs “sabotage,” 10 other bills,” The Courier, April 17, 2018, http://wcfcourier.com/news/local/govt-and-politics/reynolds-signs-sabotage-other-bills/article_fd509501-2828-509c-b40b-8fac3fc675f1.html. 94. Alleen Brown, “Ohio and Iowa are the Latest of Eight States to Consider Anti-Protest Bills Aimed at Pipeline Opponents,” The Intercept, February 2, 2018, https://theintercept.com/2018/02/02/ohio-iowa-pipeline-protest-critical-infrastructure-bills/. 95. Cooper McKim, “Governor Vetoes Critical Infrastructure Bill, No Legislative Override,” Wyoming Public Media, March 15, 2018, http://wyomingpublicmedia.org/post/governor-vetoes-critical-infrastructure-bill-no-legislative-override – stream/0. 97. Nick Surgey, “Coal and Oil Polluters Dominate ALEC Conference, July 31, 2014, https://www.prwatch.org/news/2014/07/12557/polluters. 100. The Balanced Budget Amendment, 141, No. 39 U.S.C 3325 (1995). Description found ound online at https://www.congress.gov/congressional-record/1995/3/2/senate-section/article/s3325-1. 101. William Petroski, “Iowa Senate bill would ban sabotage of pipelines, other ‘critical infrastructure’,” Des Moines Register, January 25, 2018, https://www.desmoinesregister.com/story/news/politics/2018/01/25/iowa-senate-bill-would-ban-sabotage-pipelines-other-critical-infrastructure/1066803001/. 104. “John Andrist,” The Bismarck Tribune, January 18, 2018, https://bismarcktribune.com/news/obituaries/john-andrist/article_977842df-ef93-5c2d-9cab-7f6226f0aea4.html. 107. SB. 250, Sess. of 2017 (Ohio 2018), https://www.legislature.ohio.gov/legislation/legislation-summary?id=GA132-SB-250. 109. “Energy Transfer Partners,” FollowTheMoney.org, 2018, https://www.followthemoney.org/entity-details?eid=11939. 111. Tom DiChristopher, “Pipeline CEOs vow to fight back against environmental activism and sabotage,” CNBC, March 9, 2018, https://www.cnbc.com/2018/03/09/pipeline-ceos-facing-environmental-activism-vow-to-fight-back.html. 112. Amy Dalrymple, “House approves most DAPL protest bills,” The Bismarck Times via Forum News Service, February 6, 2017, https://bismarcktribune.com/news/state-and-regional/house-approves-most-dapl-protest-bills/article_485f496c-284f-50ff-b36a-815aebe9ef40.html. 113. H.R. Bill No. 1426, Sess. of January 3, 2017 (North Dakota 2017), http://www.legis.nd.gov/assembly/65-2017/documents/17-8158-02000.pdf. 115. H.R. Bill No. 1304, Sess. of January 3, 2017 (North Dakota 2017), http://www.legis.nd.gov/assembly/65-2017/documents/17-0311-04000.pdf. 116. H.R. Bill No. 1203, Sess. of 2017 (North Dakota 2017), http://www.legis.nd.gov/assembly/65-2017/documents/17-0351-01000.pdf. 117. Catherine Rampell, “The Republicans who want to legalize running over protestors,” The Washington post, August 17, 2017, https://www.washingtonpost.com/opinions/the-republicans-who-want-to-legalize-running-over-protesters/2017/08/17/f01b7da2-834e-11e7-902a-2a9f2d808496_story.html?utm_term=.f1340963d08d. 119. “Stand With Standing Rock,” ACLU. 120. Lizzy Ratner, “Amy Goodman Is Facing Jail Time for Reporting on the Dakota Access Pipeline. That Should Scare Us All,” The Nation, October 15, 2016, https://www.thenation.com/article/amy-goodman-is-facing-prison-for-reporting-on-the-dakota-access-pipeline-that-should-scare-us-all/. 122. Erin McCann, “Judge Rejects Riot Charge Against Amy Goodman of ‘Democracy Now’ Over Pipeline Protest,” New York Times, October 17, 2016, https://www.nytimes.com/2016/10/18/us/judge-rejects-riot-charge-against-amy-goodman-of-democracy-now-over-pipeline-protest.html?_r=0. 123. John, Conditions surrounding the DAPL. 124. Alleen Brown, Will Parrish, and Alice Speri, “Leaked Documents Confirm Counterterrorism Tactics Used at Standing Rock to “Defeat Pipeline Insurgencies,”” The Intercept, May 27, 2017, https://theintercept.com/2017/05/27/leaked-documents-reveal-security-firms-counterterrorism-tactics-at-standing-rock-to-defeat-pipeline-insurgencies/. 126. “Ensure Your Safety with TigerSwan,” TigerSwan Blog, January 30, 2017, https://tigerswanblog.wordpress.com/2017/01/30/ensure-your-safety-with-tigerswan/. 133. Brown, Alleen, Will Parrish, and Alice Speri, “The Battle of Treaty Camp,” The Intercept, October 27, 2017, https://theintercept.com/2017/10/27/law-enforcement-descended-on-standing-rock-a-year-ago-and-changed-the-dapl-fight-forever/. 136. “North Dakota Private Investigation and Security Board Records,” The Intercept, June 28, 2017, https://theintercept.com/document/2017/06/28/north-dakota-private-investigation-and-security-board-records/. 137. Alleen Brown, Will Parrish, and Alice Speri, “TigerSwan Faces Lawsuit Over Unlicensed Security Operations in North Dakota,” The Intercept, June 28, 2017 https://theintercept.com/2017/06/28/tigerswan-faces-lawsuit-over-unlicensed-security-operations-in-north-dakota/. 140. Blake Nicholson, “Judge won’t dismiss complaint against pipeline security firm,” Associated Press, April 27, 2018, https://www.apnews.com/3dbac12e62ee4c2a9cce117cf4cc5f7c. 141. “TigerSwan Complaint,” The Intercept, June 28, 2017, https://theintercept.com/document/2017/06/28/tigerswan-complaint/. 143. John Hageman, “Judge dismisses case against Dakota Access security firm TigerSwan,” West Fargo Pioneer, May 30, 2018, https://www.westfargopioneer.com/news/crime-and-courts/4453550-judge-dismisses-case-against-dakota-access-security-firm-tigerswan. 145. Lanie Lee Cook, “Private security firm that surveilled DAPL protests denied Louisiana license,” July 19, 2017 (last updated February 28, 2018), KATC.com, http://www.katc.com/story/35902508/private-security-firm-that-surveilled-dapl-protests-seeks-louisiana-license. 146. Alleen Brown and Will Parrish, “A TigerSwan Employee Quietly Registered a New Business in Louisiana After the State Denied the Security Firm a License to Operate,” The Intercept, March 30, 2018, https://theintercept.com/2018/03/30/louisiana-bayou-bridge-pipeline-tigerswan-private-security/. 147. James “Spider” Marks, “Bayou Bridge pipeline: Bringing safety and security to Louisiana,” The Daily Advertiser, February 8, 2017, https://www.theadvertiser.com/story/opinion/2017/02/08/bayou-bridge-pipeline-bringing-safety-and-security-louisiana/97571802/. 151. Alleen Brown, Will Parrish, and Alice Speri. “Dakota Access-Style Policing Moves to Pennsylvania’s Mariner East 2 Pipeline.” The Intercept. June 21, 2017. https://theintercept.com/2017/06/21/dakota-access-style-policing-moves-to-pennsylvanias-mariner-east-2-pipeline/. 153. John Hurdle, “Pipeline opponents sue Sunoco, alleging constitutional violations,” State Impact Pennsylvania, September 25, 2017, https://stateimpact.npr.org/pennsylvania/2017/09/25/pipeline-opponents-sue-sunoco-alleging-constitutional-violations/. 155. Andrew Maykuth, “How Sunoco’s Mariner East pipeline is affecting real estate prices in Pa.’s Chester and Delaware Counties,” The Philadelphia Inquirer, June 1, 2018. 156. William Petroski, “Iowa Poll: Iowans back energy projects, but oppose eminent domain,” Des Moines Register, March 1, 2015, https://www.desmoinesregister.com/story/news/politics/2015/03/01/iowa-poll-bakken-wind-energy/24229261/. 158. “The Bakkan Pipeline,” Sierra Club Iowa Chapter, https://www.sierraclub.org/iowa/bakken-pipeline. 159. “Louisianans Argue in Court That Bayou Bridge Pipeline Company’s Land Grabs Subject to Public Records Laws,” Center for Constitutional Rights, last updated January 25, 2018, https://ccrjustice.org/home/press-center/press-releases/louisianans-argue-court-bayou-bridge-pipeline-company-s-land-grabs. 161. “Letter from 65 Organizations to Equator Principles Association on Brazil Annual Meeting.” Pamela C. Spees, Center for Constitutional Rights, and William P. Quigley, Loyola University, to Bayou Bridge Pipeline, LLC, Energy Transfer Partners and Corporation Service Company, December 6, 2017, in the Center for Constitutional Rights, https://ccrjustice.org/sites/default/files/attach/2017/12/BBP request Final.pdf. 162. “No Bayou Bridge – Public Records of BBP LLC,” Center for Constitutional Rights, last updated January 16, 2018, https://ccrjustice.org/home/what-we-do/our-cases/no-bayou-bridge-public-records-bbp-llc. 163. Tim Donaghy and Donna Lisenby, Oil and Water: ETP & Sunoco’s History of Pipeline Spills, Greenpeace USA & Waterkeeper Alliance, April 17, 2018, https://www.greenpeace.org/usa/reports/oil-and-water/. 164. Donaghy and Linsenby, Oil and Water. 165. “Violation Tracker: Energy Transfer,” Good Jobs First. This reflects the violations tracked on the website, minus two $18 million fines for Southern Union that pre-date their merger and were later overturned, and fines for Explorer Pipeline, which we had excluded from our spill analysis since ETP/Sunoco only hold a small percentage of the business and are not the operator. 167. “Violation Tracker: Energy Transfer,” Good Jobs First, https://violationtracker.goodjobsfirst.org/parent/energy-transfer. 168. Donaghy and Linsenby, Oil and Water. 169. “Mariner East II,” Pennsylvania Department of Environmental Protection, http://www.dep.pa.gov/Business/ProgramIntegration/Pennsylvania-Pipeline-Portal/Pages/Mariner-East-II.aspx. 170. An incident is considered “significant” by PHMSA if it involved a fatality, a hospitalized injury, $50,000 or more in costs, more than 50 barrels (or >5 barrels of HVL) spilled, or resulted in an unintentional fire or explosion. 171. Brendan Gibbons, “Pipeline rupture shatters couple’s dreams,” San Antonio Express-News, November 18, 2016, https://www.expressnews.com/news/local/article/Pipeline-rupture-shatters-couple-s-dreams-12368272.php. 172. “Sunoco Petroleum Refinery Settlement,” U.S. Environmental Protection Agency, June 16, 2005, https://www.epa.gov/enforcement/sunoco-petroleum-refinery-settlement. 173. U.S. Department of Justice, “United States Announces Clean Air Agreements With Valero and Sunoco,” news release, June 16, 2005, U.S. Department of Justice, https://www.justice.gov/archive/opa/pr/2005/June/05_enrd_323.htm. 174. “Grewal: $196 Million in MTBE Settlements with Sunoco, BP and Shell,” Insider NJ, March 12, 2018, https://www.insidernj.com/grewal-196-million-mtbe-settlements-sunoco-bp-shell/. 175. Political Economy Research Institute (PERI), “Combined Toxic 100/Greenhouse 100 Indexes (2018 Report, Based on 2015 Data),” University of Massachusetts Amherst, 2018, https://www.peri.umass.edu/combined-toxic-100-greenhouse-100-indexes-2018-report-based-on-2015-data. 176. Political Economy Research Institute (PERI), “Energy Transfer,” University of Massachusetts Amherst, last updated July 25, 2012, http://grconnect.com/tox100/2017/index.php?search=yes&company2=2460. 178. Jessica DiNapoli and Jarrett Renshaw. “Exclusive: Philadelphia Energy Solutions to file for bankruptcy – memo,” Reuters, January 21, 2018, https://www.reuters.com/article/us-philadelphiaenergysolutions-bankruptc/exclusive-philadelphia-energy-solutions-to-file-for-bankruptcy-memo-idUSKBN1FA18P. 180. Mike Soraghan, “Oil and gas industry leads in severe injuries,” EnergyWire, May 2, 2017, https://www.eenews.net/energywire/2017/05/02/stories/1060053892. 181. Dianna Wray, “Sunoco, Sued After August Pipeline Fire, Has a History of Safety Violations,” Houston Press, September 2, 2016, http://www.houstonpress.com/news/sunoco-sued-after-august-pipeline-fire-has-a-history-of-safety-violations-8721539. 183. Katherine Torres, “OSHA Fines Ohio Sunoco Refinery $330,000,” EHS Today, May 12, 2008, http://www.ehstoday.com/standards/osha/ehs_imp_80261. 184. “U.S. Labor Department’s OSHA cites Sunoco Inc. for workplace safety and health hazards Agency proposes $305,000 in fines,” U.S. Department of Labor, December 15, 2008, https://www.osha.gov/news/newsreleases/region3/12152008. 185. “U.S. Labor Department’s OSHA fines Sunoco more than $200,000 for workplace safety and health hazards at Marcus Hook refinery,” U.S. Department of Labor, July 6, 2009, https://www.osha.gov/news/newsreleases/region3/07062009-0. 187. “FERC approves record $30 million settlement in ETP market manipulation case,” U.S. Federal Energy Regulatory Comission, September 21, 2009, https://www.ferc.gov/media/news-releases/2009/2009-3/09-21-09.asp. 188. “Energy Transfer Partners, L.P. and Three of Its Subsidiaries to Pay a $10 Million Penalty to Settle CFTC Action Alleging Attempted Manipulation of Natural Gas Prices,” U.S. Commodity Futures Trading Commission, March 17, 2008, https://www.cftc.gov/PressRoom/PressReleases/pr5471-08. 190. Julia Carrie Wong, “Dakota Access pipeline: ING sells stake in major victory for divestment push,” The Guardian, March 21, 2017, https://www.theguardian.com/us-news/2017/mar/21/dakota-access-pipeline-ing-sells-stake-loan-standing-rock. 191. Cecilie Skjennald, “DNB has sold its part of Dakota Access Pipeline loan,” March 26, 2017, DNB Bank, https://dnbfeed.no/nyheter/dnb-has-sold-its-part-of-dakota-access-pipeline-loan/. 192. John Heltman, “BNP Paribas sells stake in Dakota Access Pipeline,” American Banker, April 5, 2017, https://www.americanbanker.com/news/bnp-paribas-sells-stake-in-dakota-access-pipeline. 193. Donaghy and Linsenby, Oil and Water.